Cruise season will begin this month. Please recommend or revise any other Long Island cruises in the Comments section below or by sending an email to Howard@Kroplick.com . 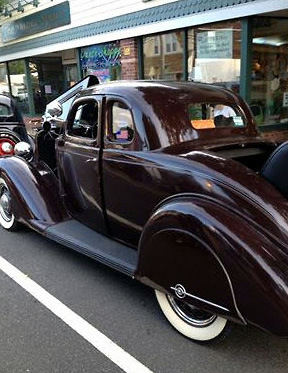 -East Rockaway Cruise Nights, sponsored by Chamber of Commerce, 6:00 pm-10:00 pm, Main Street at Front Street, Starts: May,Information: 1-516-428-4917. Starting Monday, June 5, 2017. 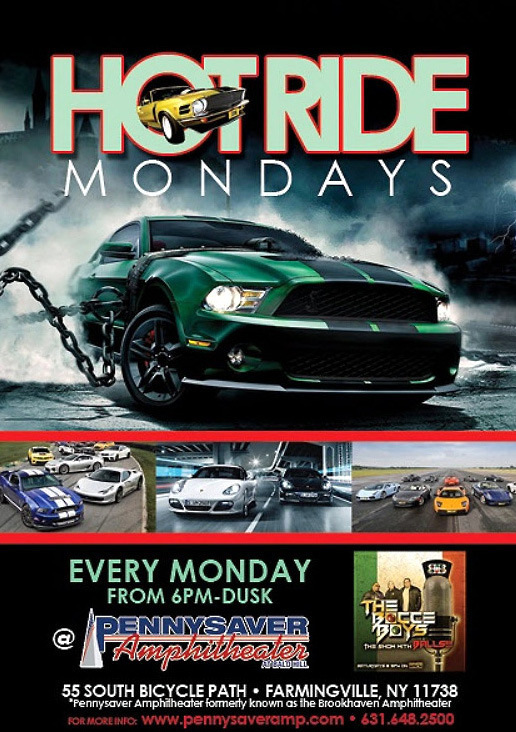 -Hot Ride Mondays, Bald Hill, 55 Bicycle Path, Farmingville, The event will feature food, drinks, live music, Party 105 La Fiesta, vendors and more. Event runs from 5 p.m. to Dusk. 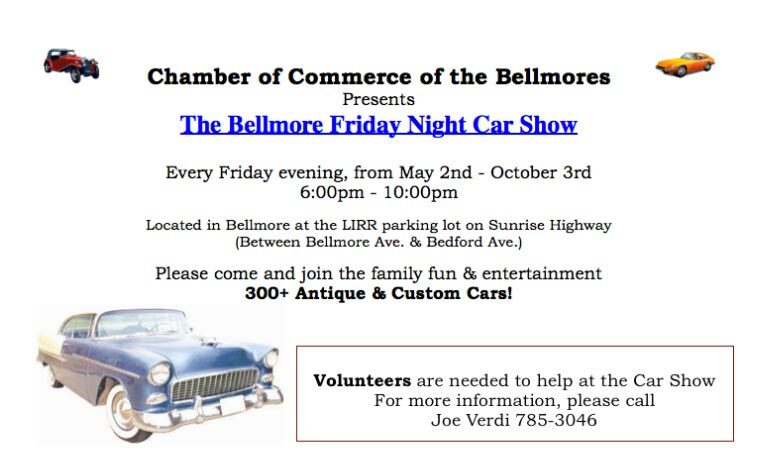 Admission is $10 per car . Will start in July, 2017. 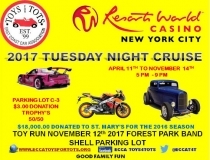 -Historic Oyster Bay Cruise Night, South Street & Audrey Avenue, $5 per car, 6:00 PM-9:00 PM, Contact Austin 1-516-398-6900 begins May 30, 2017. Showfield is located behind the hotel on Carlin Ct. off Spagnoli Road. 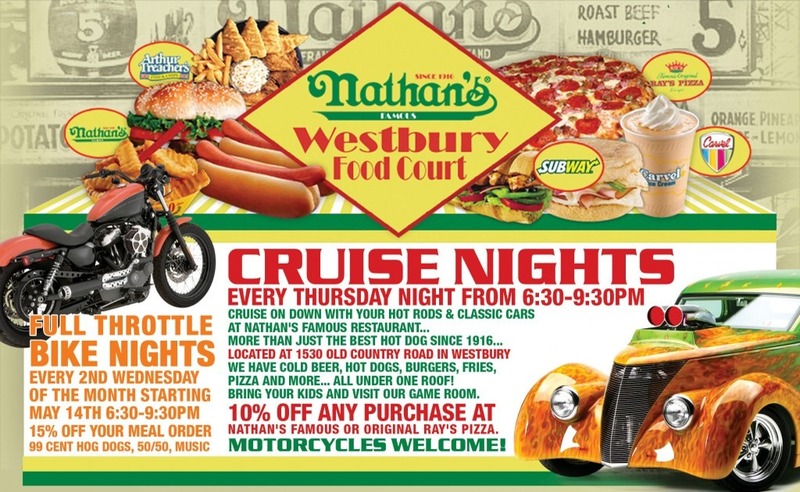 -Kings Park Plaza Cruise at Key Food Shopping Center on Indian Head Road just one block south of the Kings Park train station, sponsored by Kings Park Chamber of Commerce and Kevin Denis of Professor's Diner. This is a great turnout - get there early! Room for several hundred cars. 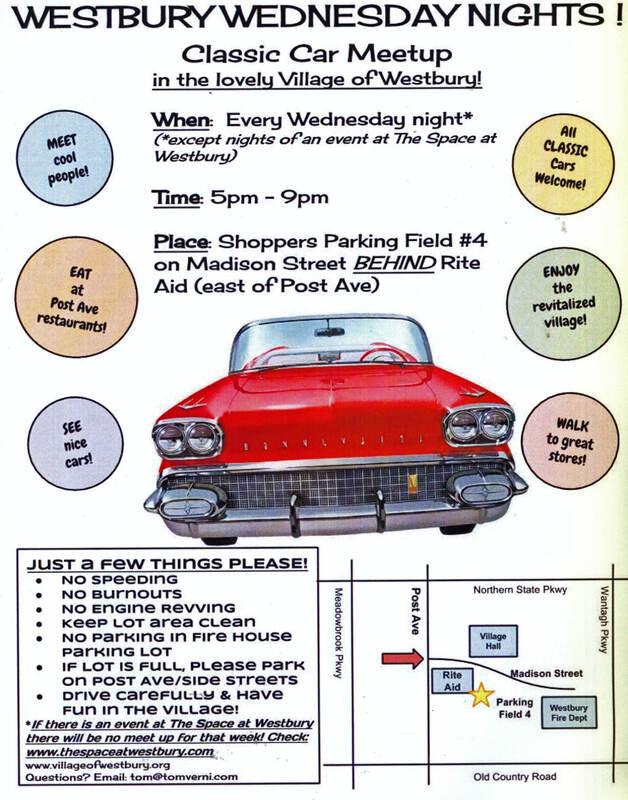 No burnouts or loud music please.Starts 5:00 PM, Contact Elliot Weiner 1-631-724-3756. 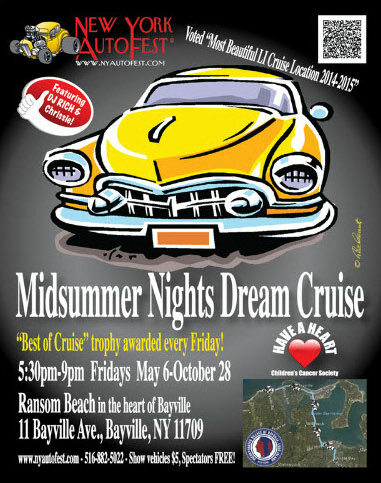 -Bayville AutoFest Midsummer Nights Dream Cruise, Every Friday evening May 6-October 28, 2016 from 5:30 pm to 9 pm come join for the New York, located at Ransom Beach, 10 Bayville Ave., Bayville, NY. Right across the street are a Deli, Pizza, Souvlaki, Seafood, and Mexican restaurants as well as the Bayville Amusement Park! 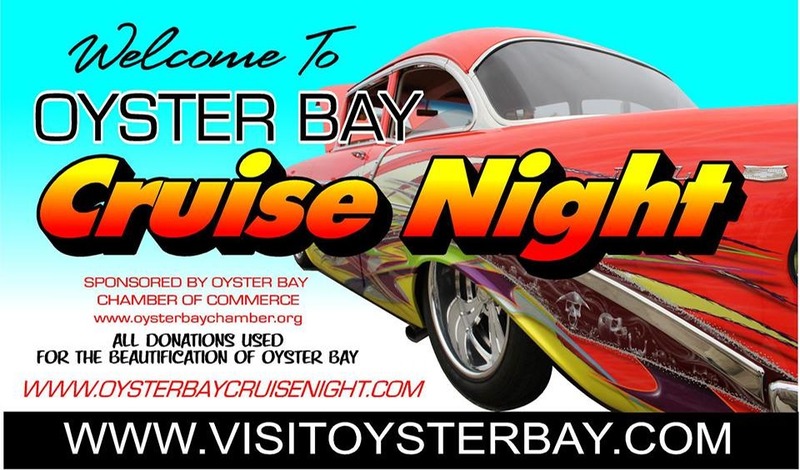 Bring the entire family for a fun night out in this popular summer resort townShow vehicles only $5, spectators free of course.Vehicle entrance fee is just $5, spectators are free of course. 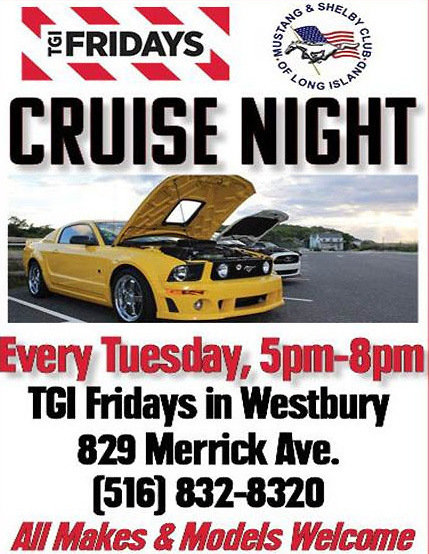 -Massapequa Cruise, Long Island Rail Road Station, 7pm-10pm. Cars must stay the duration of the evening at 7:15. Contact info: (516) 797-4126. OBI, Oak Beach, Ocean Pkwy. Free admission. Either at Captree or OBI parking lots. They are located 2 minutes apart from each other. 7AM and on. Last Sunday the Troopers were out at OBI writing ticket after ticket for missing front plates, etc. There were a few problems in the past weeks with burnouts, speeding and some joker charging admission. Let’s all behave like gentlemen and preserve this great Sunday daybreak tradition. Wed nights is really nice crowd at Milleridge Inn. 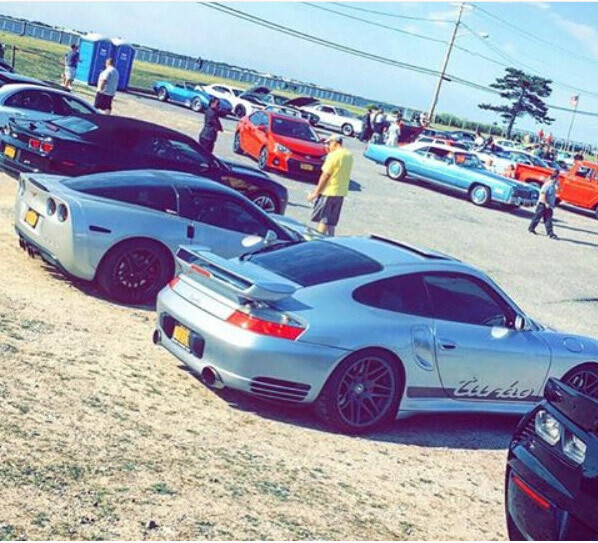 Great cars and mature crowd. It’s now free to all. Is Smithtown Stop N Shop still alive? I hear rumbles that it’s no longer going on.